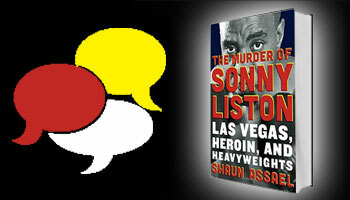 Shaun Assael, Senior Writer, ESPN Magazine, and a member of ESPN’s Investigations Group is the author of The Murder Of Sonny Liston: Las Vegas, Heroin & Heavyweights. He talks to the Tom Joyner Morning Show about who he thinks killed the boxing hero and much more! “I believe that the preponderance of evidence shows that he was murdered. I found out that there was a contract out on Sonny’s life from a local drug dealer that thought he ratted him out. That contract alone should’ve opened up an investigation. He was also in the middle of a drug sting. That would’ve been enough to do Sonny,” Assael said. Click the link here to hear the entire interview at newsone.com.